Only Hy-Lok CNG parts deliver the uncompromised performance your applications demand. 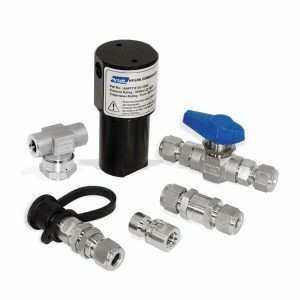 Hy-Lok’s LNG and CNG product line includes NGV 1-certified receptacles, ball valves, check valves, relief valves, tee filters, tube fittings and purge valves, and other compressed natural gas components. These same Hy-Lok CNG Parts are being in use in dozens of industries and thousands of applications worldwide. Regardless of your compressed gas needs, Hy-Lok has a solution for you. For more information on CNG Parts, find a Hy-Lok distributor in your area.